Honestly, I'm finding it hard to care about what happens next with the 25th James Bond movie. I just want them to get on with it. 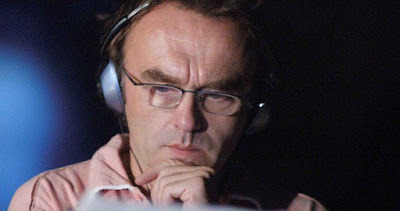 Just yesterday Danny Boyle was named as the frontrunner to direct Daniel Craig in the film, although there had yet to be any formal offers. Well, it definitely looks as if Boyle is involved pretty deep, but whether it stretches to him getting behind the camera is going to take some more time. According to Deadline, Boyle and frequent screenwriting partner John Hodge (Trainspotting) are writing a new script for Bond 25, based on an original idea they cooked up. Once they spend a couple of months hammering out the screenplay they'll deliver it to producers who will then decide whether to move forward on it or not. If they choose not to then they'll simply go back to the script they already have from franchise scribes Neal Purvis and Robert Wade, with Yann Demange (White Boy Rick) directing. Easy peasy. I wonder what Daniel Craig thinks about all of this nonsense. It really feels like Barbara Broccoli and Michael G. Wilson, the stewards of the Bond empire, are flying by the seat of their pants. They're so hard up for a big name director that they're willing to delay production and put the film on a tighter schedule, which is one of the many reasons why Spectre failed to live up to expectations. It's also a reason why Craig felt so burned out he damn near quit the franchise. This seems like a mistake, but if it nets them Boyle then I guess it'll have been worth it. Let's not forget Bond 25 has a release date set for November 8th 2019, which isn't that far away.